Hi readers, I hope you’re all well! It’s a Bank Holiday in the UK so it’s a day off work!!! From time to time I go through my clothes deciding which should stay and which should go to another home (eBay, charity, Nigeria). Usually they are old, maybe out of fashion, but wearable. 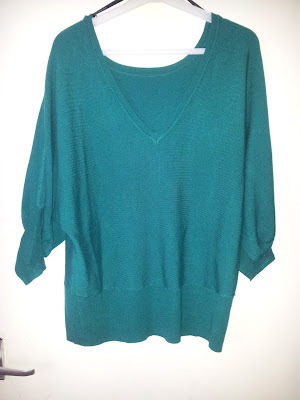 I loved the batwing jumper so much that when I saw it green I did not hesitate to buy it….if there were other colours in my size at the time I would have hit them up too! What can I say? 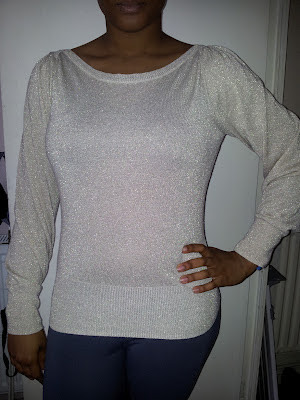 Dorothy Perkins had some quality clothes back in the day; all the jumpers are still in fab condition nearly 4/5 years later! These boots are probably my most expensive purchase to date; I believe they were £110, but as I was a student at the time, I managed to negotiate a price of £95. 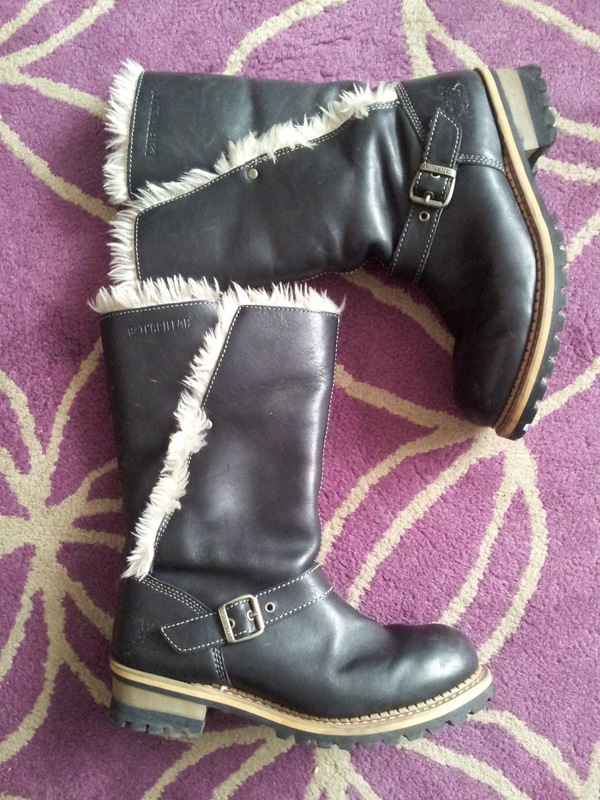 These boots have served me so well during the Winter months every year and the random snow days that London has from time to time! 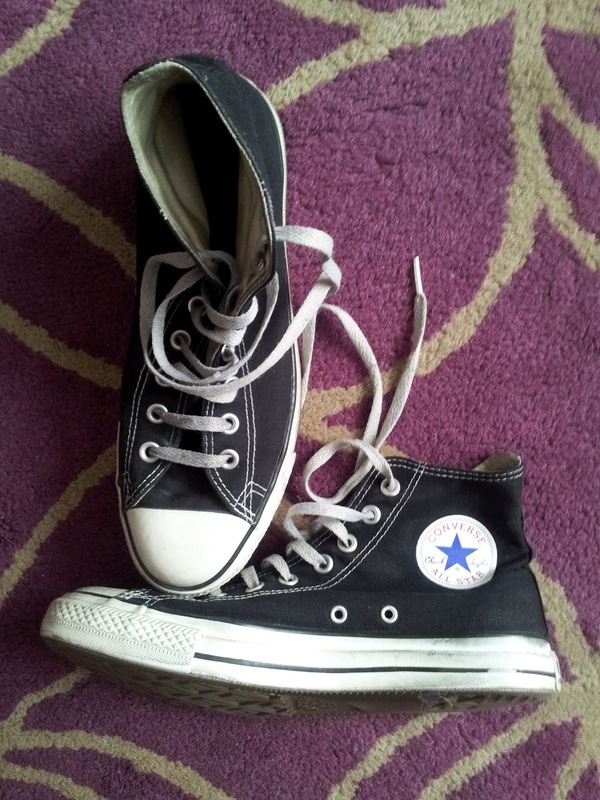 Converses - bought in 2005 and still going strong baby!! Do you have any ‘Old but Gold’ items? i love the metallic detail in the sweater!i moved recently too and we only packed one car full of stuff so it was stuff eliminating so much stuff!! Such great finds! I need one of those converses. Wow, very nice "old but gold" items! I like them so much! 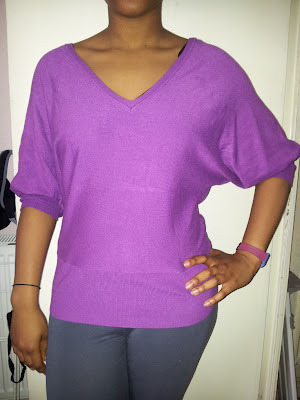 there are definitely items in my closet that i just can't let go of either!! I've had my converse forever, and I wear them all of the time! gotta love all-stars! Converse will never go out of style!! i'm so bad in "throwing" my clothes away because i always feel like i need all of them and one day i'll wear them... but honestly, i have some items in my closet which i've never worn in years haha. I totally know how you feel! Everytime I try to clean my closet, I find so many things that I think I'll wear again and keep them.. then never wear them and the cycle just continues nonstop! there is nothing like a nice pair of chucks, love it!